This article first appeared in The Edge Malaysia Weekly, on June 25, 2018 - July 01, 2018. APART from China’s ambassador to Malaysia, Bai Tian, Jack Ma is probably the only other VIP from China to have met the Pakatan Harapan government since it took over Putrajaya. How receptive the new government is to Ma is being closely watched locally and internationally, especially after Sino-Malaysian relations became tense upon the discovery of the red files, some of which involve Chinese companies. According to Ma, the one-hour meeting with Prime Minister Tun Dr Mahathir Mohamad on June 18 went well, and he wished that the meeting had lasted longer. The following is an excerpt from the group interview Ma held with the media after his visit to Putrajaya. How did your meeting with Tun Dr Mahathir Mohamad go? Jack Ma: It was a great meeting. We exchanged a lot of ideas, and I was very surprised by his knowledge and vision of technology. Actually, I first read about the Multimedia Super Corridor in Malaysia in 1997, which is one of the reasons why the first e-World Trade Platform (eWTP) hub outside China is in Malaysia. We spoke a lot about how technology can enable the people. He really cares about the villagers, how they can use tech to enable their small businesses. He welcomed Alibaba to Malaysia to do more training for young Malaysians in terms of technology. So I think (although) the meeting lasted for one hour, we could have probably talked for another hour. I’m excited by his vision and courage to embrace technology. He’s not a tech guy like me but he’s not scared by that. Are you worried about the change of government, considering how the DFTZ (Digital Free Trade Zone) was pushed by former prime minister Datuk Seri Najib Razak? No, I am not worried. I think the PM spoke clearly about welcoming Alibaba and welcoming foreign capital. He said from the very beginning that Malaysia is a business-friendly country and that Malaysia’s development is linked very closely to foreign investment. Government policy is continuing — policy is still stable. So we don’t feel there are any problems. eWTP is the solution for Malaysian exporters, young people and small businesses, and he [the PM] likes our idea about not coming here to get land and building or constructing without hiring local people. We are enabling people here. How was your meeting with Finance Minister Lim Guan Eng? We exchanged a lot of ideas on knowledge technology and inclusive financing culture. I admire him for his courage and for embracing the technology; it is amazing how this country’s government offices embrace technology, welcome technology. Last night, the atmosphere was so good, so great that he invited me to go to his state. I’m looking forward to that because I’ve heard a lot of great things about that place and I would love to go and share experiences with the entrepreneurs there. What is the difference between the old and new government officials? The similarity is that both governments have a vision of technology and love small businesses. I think Dr Mahathir cares more about the villages and the poor people and he cares about how to leverage technology to make it really work. He said he hopes Alibaba can create value for the whole economy. I invited Dr Mahathir to Hangzhou and he said he would be very happy to come. I want to show him all the new technology and innovations we have been doing, so that he can pick up the things he likes. Is your title as digital economic adviser still valid? We did not discuss the subject specifically but I think it is my responsibility to the commitment that I have made to Malaysia. Did the PM suggest that you champion other initiatives apart from the DFTZ? Yes, training. He spoke a lot about training and education. I shared how to [encourage] Malaysia’s small businesses to sell things to China, about exporting. He totally agreed. He focused a lot on how we can help train Malaysian small businesses and young people to do better in the digital era. Any update on the DFTZ? I think the DFTZ is going on very well. I’m very happy [with] the efficiency of MDEC (Malaysia Digital Economy Corp) and its understanding of the DFTZ’s meaning to this region. We came with a big group and we have sent a lot of people here this afternoon, and we think we’ll continue to invest. We know we should do more things as the PM said, such as training people on how to sell online to China. We’ve been testing the selling of Thai fruit to China in the last two months. It has been overwhelmingly successful. So we think the investment in the logistics hub in Malaysia will mean a lot. For this region, it will be fundamentally good. And I think Alipay is here, Alibaba Cloud is here, Ali B2B is here, Ali exporting is here ... I met a group of people last night and we discussed our progress here. It seems the young people are very happy. We’re also thinking about hiring more local people. Our new government has delayed or reviewed many infrastructure projects. What does Alibaba have to offer so the DFTZ project is retained? China is a big market. The [diplomatic ties between] China and Malaysia are critical to the region. I think the Malaysian government is wise enough to continue following the foreign investment policy; this is the message I got from the PM. It is not about changing policy but about improving it. For Alibaba, we come here because we see opportunity in the two countries’ relationship, their business relationship. We come here because we believe our technology and our know-how can enable the small businesses and young people here. I don’t feel there are any problems between us and the Malaysian government. We don’t come here to compete but to enable [local businesses]. As business leaders, we are always optimistic that if there are problems, there are always opportunities. I didn’t feel any problems during my meetings with Dr Mahathir and Mr Lim. How much has Alibaba invested in Malaysia so far? A little more than US$100 million. How much more do you think Alibaba will invest? We have the second phase. We have a lot of training [to do] this time. We are thinking of helping Malaysian companies to use the cloud and in exporting. And the second phase of the logistics hub, I think it will be much more. We don’t have a specific number yet but I think it will be much bigger. It’s not investment for buying land but investment for developing technology. I would not give a confident number. But we think in the future, 80% of small businesses in the world will be online. In China, we have created 36 million jobs with our network. In Malaysia, we don’t think it is just a national hub but the hub for this region. Lazada has already hired a lot of people. We think e-commerce in this area is still at a very early stage. Our people here will calculate exactly how much investment and how many jobs this infers. We’ve already sent some 20 to 30 people here [from Hangzhou]. The troubling thing is that they come here, stay for one month and have to apply for working visas. I’m very happy to see that two young Malaysians who studied in China have joined Alibaba here. 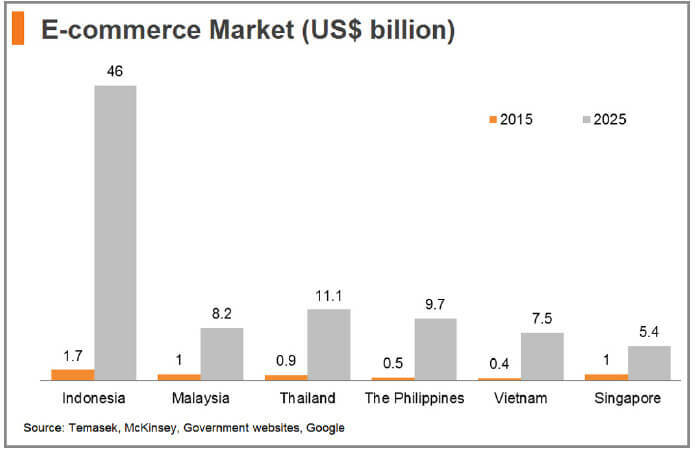 Alibaba has invested in Thailand, Vietnam and Indonesia. How is its Malaysian role different? Malaysia is the first eWTP we have outside China and we’ve already invested a lot in logistics, in cloud computing. We’ve already started several projects and this hub is not for Malaysia but for the region. Alibaba is on China’s Belt and Road Initiative; eWTP is a network and Malaysia is its first hub. And there will be a second and a third. The main purpose of eWTP is to connect the small businesses around the world so that they can buy and sell globally, deliver globally, pay globally and travel globally. As the first hub [in Malaysia], it is very important. Is blockchain a part of financial inclusivity and security? The three technologies that Alibaba focuses on are data and analytics, blockchain and the internet of things. I think the blockchain technology is a great opportunity for Asia. The data technology revolution is an opportunity for Asia. Blockchain technology is not about bitcoin. We will soon start our blockchain technology product. In 10 days, we will announce something. We will get more feedback from Asians in this area and then we will see how it can be implemented here. We studied internet financing in China. We say internet financing plus blockchain in China is the future and the hope of the 21st century’s financial system. What is your plan for Cainiao? Do you see yourself competing with Malaysian companies? In China, Cainiao does not compete. Its job is to build a network. We want more local logistics companies that can connect all the logistics companies and enable them with shipping outside. We don’t want to come here and build logistics warehouses everywhere. Then we will get stuck if nobody wants to do it. We will do it if people want to do it. We will enable them to do it, that is our strategy. In the next 10 years, we want to be able to deliver globally within 72 hours. We want the hub to achieve that, to make Malaysia very important. There will be one Cainiao here, right? So you’ve already started the construction of those premises. When is it expected to be completed? Corporate communications: It is expected to be completed in 2020. We start construction this year. Can I say that you are going to build a billion-dollar market potential for Malaysia? China is going to import US$8 trillion in five years and it has 300 million middle-income people now. It is going to have 500 million middle-income people in 10 to 15 years. And in 15 years, China is going to import US$24 trillion at least. And I think in Malaysia, with the eWTP, our job is how we can enable Malaysian small businesses to benefit from China’s import needs. This is what I see it depends on, how we can enable [these businesses]. How can Malaysia emulate China’s success in e-payments? I don’t think about the government but people like us. In the past 14 years, the government has not supported the cashless society strongly. Actually, a lot of banks [in China] hate us. But people like us, we believe this is the future, we believe this brings value to the world. So we fight day and night. We need to encourage local young people and entrepreneurs to fight for their future. Because a lot of young people say, ‘We don’t have opportunity, we don’t have a future’. Fight for it! Nobody will give you an opportunity, nobody will give you a future. The future must be fought for. I say this not because we want to take a lot of credit for China’s cashless society but we did fight day and night. We didn’t care about anything except the future. On how Malaysia can deal with Alibaba and Chinese companies — it’s like a marriage. It takes time and it takes work. We cannot afford to lose a big market like China. It will be such a difficult problem to find a country like China — 500 million middle-income people in 10 years. Tell me, where else? The total American population (is) less than 300 million. When doing business, you have to embrace the big market. And Malaysia’s small businesses have to think globally, have to think about China. And China’s business community, when they go outside, they have to respect local culture, they have to enable people, otherwise they cannot be successful. I think those countries will learn quickly. And this is why I want to spend a lot of time on education and training. What can Malaysia’s small businesses offer the world? Doing business and trade is about culture. If you are a small business, if you plant a potato, you have to say what’s the difference between your potato and the neighbour’s. So, small businesses, they have to believe that their products have lives, just like Alibaba. In the early days, I told the team in my apartment, ‘Everybody says the computer is cold. We have to make it warm because there is thinking behind the computer’. So small businesses, they should have a vision, they should have a mission, they should create value, they should learn, they should be brave, they have nothing to lose. Big companies like us, we have something to lose, but they don’t have anything to lose. You see a lot of Malaysians around the world. In my company, we have a lot of Malaysian staff, they are very entrepreneurial. What do you want to buy from Malaysia’s small businesses? I want to buy entrepreneurship. The thing I look at is the people, the culture. In Malaysia, I want to see a lot of small businesses, I want to see a lot of entrepreneurs. For our company, we are more interested in importing Malaysian agricultural products, fruit and we are very interested in supporting Malaysian exports not only to China but also Muslim countries like the Middle East. We have a lot of users in the Middle East. It is something we are discussing that will probably be good. One of the challenges small businesses face when it comes to exporting is that they don’t have the scale. How should they go about this? The good thing is that the road has changed. They don’t have to learn about the traditional ways to export, like big containers. In the past, all cross-border trade was through containers. In the future, all cross-border trade will be through packages. So you don’t have to have a whole container of things to sell; you just sell through packages. Today, there are no experts in new globalisation trade. Everybody is learning; I think (they should go about this) through learning, through training, through learning from small businesses in China and Thailand. We started with Thai farmers selling durian to China. But I heard Malaysian durians are better. So, that is good. The bad news is, the technology revolution [that is coming], you cannot stop it. The good news is, it is new to everybody. It is just how you change yourself to learn. What are some of the problems you see in Malaysian small businesses? Training, I think. In Malaysia, the IT concept is good, there are a lot of mobile phones but you don’t see enough companies and small businesses here using that technology to sell their things online. We find that most of the small businesses here need some training on how to use this online platform. We need to build the logistics system to deliver quicker. As for the payment system, I am happy and encouraged by the PM’s vision and embrace of this kind of technology. When you say training, what actually do you think they need training in? Or are they lacking an innovative mindset? Yeah, innovative thinking. Think out of the box. Do not only think about your country. Think about the whole of Asia, think about China, think about the Middle East. And how you do it. How is easy but think out of the box. How would you encourage an entrepreneurial mindset? We can teach hard skills but how do we make people innovative? It is difficult to teach entrepreneurship. Entrepreneurs are to be discovered and trained through hardship. It’s not like a school that you can send people to and teach them to become an entrepreneur. They will learn a lot of skills but I find — I don’t know if it’s politically correct — more entrepreneurs here than in Singapore. A lot of people learn the skills, but here, you may not have the skills but you want to go out, you want to change. I think people here — the government, the environment and all the people — should support fair competition.